Many patients have exhausted valuable time and resources in gimmickry and fad procedures which often provide little value. Dr. Christman’s over 30 years experience with cosmetic surgery has allowed him to focus on affordable procedures that are more likely to be effective – procedures such as Botox Injections, Botox for Migraines, Tattoo Removal, Skin Cancer Removal, Varicose Veins, Hair Transplants and much more. Dr. Christman has discovered that certain types of hand pain and other chronic neuromuscular pain can sometimes be successfully treated with Botox injections. While no one can stop the aging process, certain facial wrinkles, particularly around the forehead and eyes, can be improved by temporarily paralyzing certain muscles with Botox Injections. Botox, well known for smoothing facial wrinkles, has been approved by the FDA for treatment of migraine headaches in adults. For patients suffering from chronic migraines, this option deserves investigation, even though frequent injections might be necessary, as often as every 12 weeks. Excess sweating (Hyperhidrosis) can be a problem for many patients. 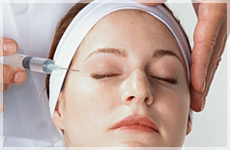 Botox injections have been found to be useful in some patients. Please call Dr. Christman for a consultation. Many patients suffer from chronic pain of all different types. Certain types of Chronic Hand Pain, especially Reflex Sympathetic Dystrophy (RSD), can be especially susceptible to Botox injections.Dr. Christman has discovered that other types of neuromuscular pain, such as back pain, can also be helped by Botox injections. This option might be considered for those who have debilitating pain not improved by other forms of treatment. Call Dr. Christman for a consultation. Dr. Christman specializes in Skin Cancer Removal of all different types, and his meticulous techniques have consistently minimized scarring. While basal cell skin cancer and squamous cell skin cancer are common, melanoma can be dangerous and life-threatening. Any dark mole with changes in size, coloration, bleeding, should be immediately evaluated. 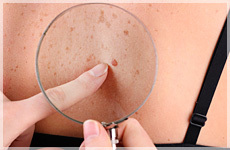 Non-malignant, but yet unsightly lesions, are also commonly removed. Facial aging can often be addressed by the judicious use of Chemical Peels. 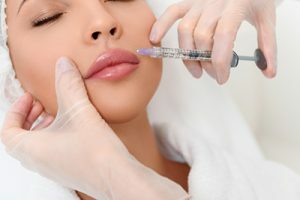 This cosmetic procedure is often performed with tricholoroacetic acid (TCA), and can be particularly effective for wrinkles around the lips, eyelids, and other parts of the face. Additionally, superficial skin blemishes can be dramatically improved. Other parts of the body, such as the hands, can be treated with chemical peels, with very satisfying results.Dr. Christman’s 30+ years of experience is useful in determining just how deep a peel should be used. In his opinion, a chemical peel is superior to lasers, as the peels are less painful, less expensive and just as effective. 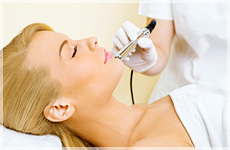 Dermabrasion is another option in treating wrinkles and skin irregularities. It might be particularly useful in smoothing certain types of scars, and can sometimes be performed under local anesthesia. Whether it is caused by ear gauges, trauma or the prolonged use of earrings, the Christman Plastic Surgery Center can repair and reconstruct torn ear lobes. Cosmetic surgery is provided in our Dayton facility to help remove any unsightly tears or holes, offering affordable Earlobe Repair for our patients. After healing, ears can be re-pierced if desired. Some patients have lost entire eyebrows or portions of them from accidents, constant plucking, burns, etc. 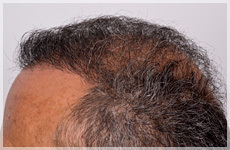 Hair transplants can be performed in the Christman Plastic Surgery Center to restore the eyebrows. While applying eyeliner can be time-consuming, some women lack the dexterity for successful application on a daily basis. 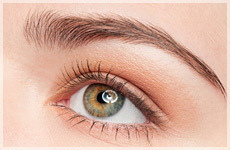 Permanent Eyeliner uses tattoo pigments which are placed in a fashion that the patient chooses, as well as in a color that is complementary to her complexion. 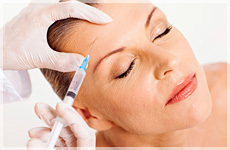 Permanent Eyeliner can be performed under local anesthesia at the Dayton Plastic Surgery Center. While many creams and lotions do not effectively tighten skin, Retin-A does gradually tighten the skin by removing the outer skin cells. This is a very useful and inexpensive way to maintain one’s facial appearance. It also helps to decrease the incidence of skin cancers and skin blemishes. Call Dr. Christman to see if this might be a useful adjunct to your skin care. Dr. Christman’s suture techniques have helped many patients with Scars and Keloids. While some have a strong hereditary tendency toward keloid or hypertrophic scar formation, Dr. Christman uses other adjuncts to minimize them. Dr. Christman has helped many patients with difficult Scar Revision cases – whether from trauma, previous surgery or burns. There is a wide variety of skin filler options on the market today. Dr. Christman only uses those which are safe, while providing longer term results. Skin Fillers can be used to help wrinkle lines, fill acne defects, depressed scars and other skin irregularities. Dr. Christman has even found them to be useful in improving nasal contours. He has many happy patients who continue to use these products on a regular basis. 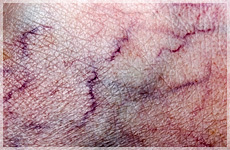 Varicose Veins tend to be larger, while Spider Veins are smaller – but both are unsightly. Dr. Christman uses hypertonic saline as well as other solutions for treating spider veins in the lower extremities, face and other parts of the body.This procedure is called Sclerotherapy, and is generally superior to lasers used for this purpose. While more than one procedure is often necessary, it can be quite helpful in improving these blemishes. Laser tattoo removal is often expensive, requires multiple sessions and can result in residual unsightly pigment and/or scarring. Dr. Christman prefers direct excision for Tattoo Removal, and sometimes uses several excisions over a period of time. Depending on the size and location of the tattoo, this can sometimes be much more affordable, while yielding superior results.Dr. Christman is well known throughout the Dayton area, as well as outside Ohio, for his superior results in tattoo removal. Each procedure must be individualized, as each tattoo is different in size and shape.